Malcolm Appleby is one of Britain’s most celebrated art engravers and silversmiths. 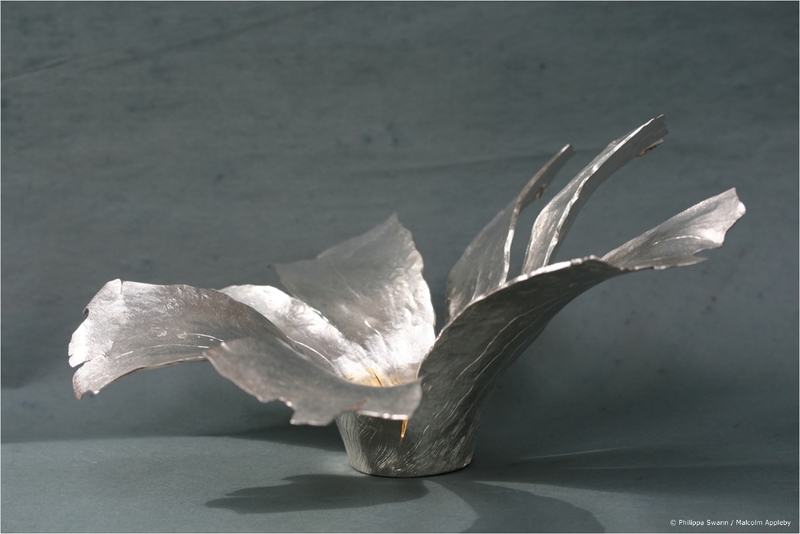 Born in 1946, his interest in metalwork began at an early age. His family were friends of John Wilkes, a long-established London gunmaker. During visits to the Wilkes shop young Malcolm became fascinated by the intricate patterns which traditionally decorate firearms. He began an informal apprenticeship as a gun engraver with Wilkes while studying engraving at the Central School of Arts and Crafts. Working with the hard metals used for guns is particularly demanding and it helped develop the technical rigour and precision that has become one of the signatures of a Malcolm Appleby design. Between 1961 and 1968 Malcolm attended no less than five art schools – Beckenham School of Art, Ravensbourne College of Art and Design, Central School of Arts and Crafs and John Cass. Two years at the Royal College of Art completed his formal studies. The skills he learnt at Wilkes, through his arts education, and especially via his unerring enthusiasm for experimentation have translated into a lifelong passion for combining different metals, the masterful firing of coloured golds onto steel or iron, mixing platinum and silver with gold, and exploring the tones and textures of fused precious and non-precious materials. Gem stones now also feature in much of his work. His designs have always been technically challenging, stretching to the very edge of what might be possible. A virtuoso competence blends with a constant drive towards innovation, a refined and playful sense of imagination, and an irresistible dash of Appleby mischief in the content and delivery of his work. 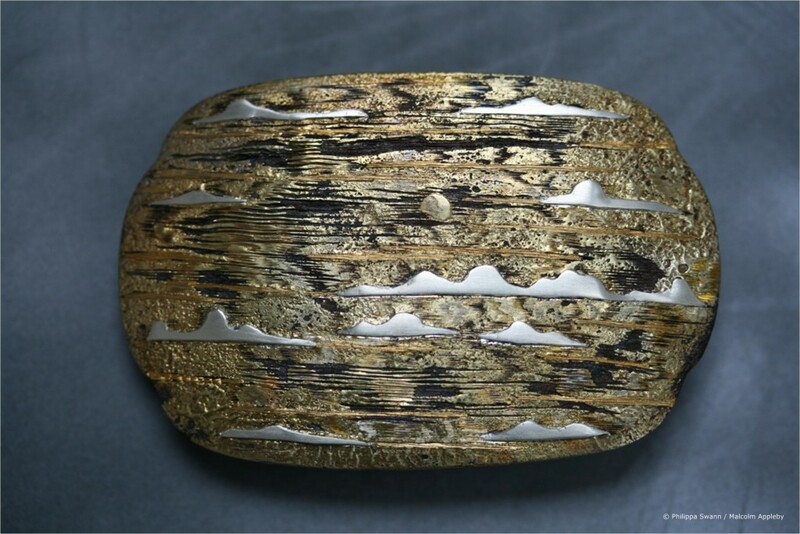 Collaborations with Louis Osman in 1968 brought Malcolm his first two high profile commissions, the orb on the coronet for the Prince of Wales’ Investiture and the creation of the Osman moon that was presented to the astronauts who first landed on the moon. 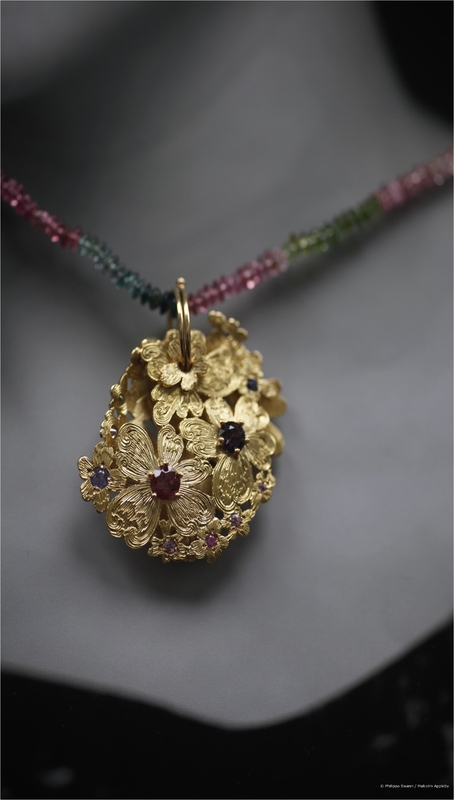 In 1970 Malcolm diversified into jewellery, drawn in by the smaller scale, his passion for detail and a natural gift for finding interesting precious and semi-precious stones. Around this time, he moved to Crathes in Scotland, setting up home and workshop in an abandoned railway station. He started work on a chess set, a commission for Collingwood of Conduit Street to celebrate the Queen’s Silver Jubilee in 1977. Another prestigious commission came the following year, from the Goldsmiths’ Company – a bowl commemorating the 500th Anniversary of the London Assay Office. The Victoria and Albert Museum, who had already acquired some of his work for their collections, commissioned a seal for the board of trustees in 1985, in the same year that Malcolm worked on the Raven Gun for the Tower of London. 1988 brought a commission from The Silver Trust for a condiment set for 10 Downing Street. In 1989 there was standing cup and cover for the National Museums of Scotland. Malcolm was made a Liveryman of the Worshipful Company of Goldsmiths in 1991. 5 years later he moved to Grandtully in Perthshire where he designed and built the house and workshop which he still occupies. 1998 saw a solo exhibition at Aberdeen Art Gallery and Museum and subsequently commissions for a table centrepiece for the Bute Collection, for use by the Scottish First Minister; a pair of Tazzas for the WS Society, Signet Library, Edinburgh; and a Millennium Casket commissioned by the Goldsmiths’ Company. There followed medal commissions: the first Royal Medal for the Royal Society of Edinburgh in 2000 and the Trafalgar Medal, commissioned by Sim Comfort in 2005 as well as a piece for the XXXII Fidem Art Medal Congress, University of Glasgow. 2007 brought Hurrican George, a large shallow bowl for the Cutting Edge exhibition, National Museums of Scotland, which appeared in the Design for 150 Years Celebration Book, Victoria & Albert Museum, London. Among other notable recent commissions, a pair of candlesticks for St Giles’ Cathedral, Edinburgh in 2014. 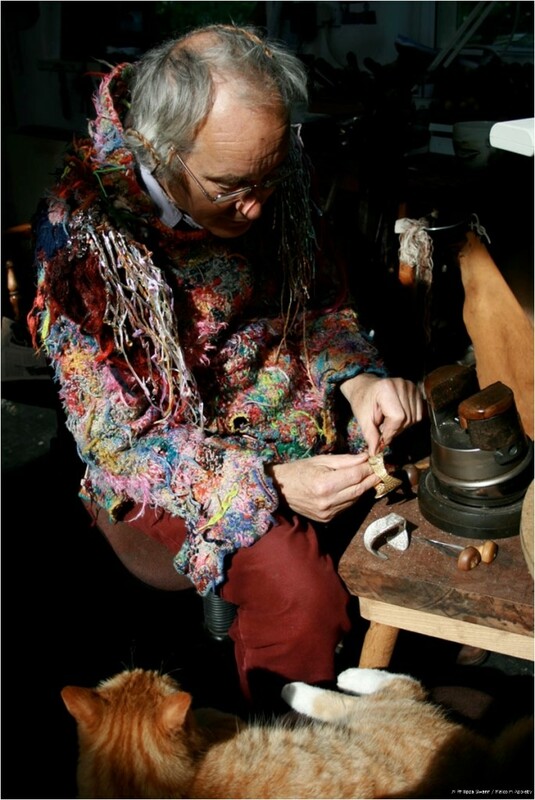 Malcolm was awarded an MBE in the Queen’s birthday honours list in 2014 for services to hand engraving. Although Malcolm’s workshop is remote, surrounded by the flora and fauna that informs and inspires so much of his work, it is rarely quiet. 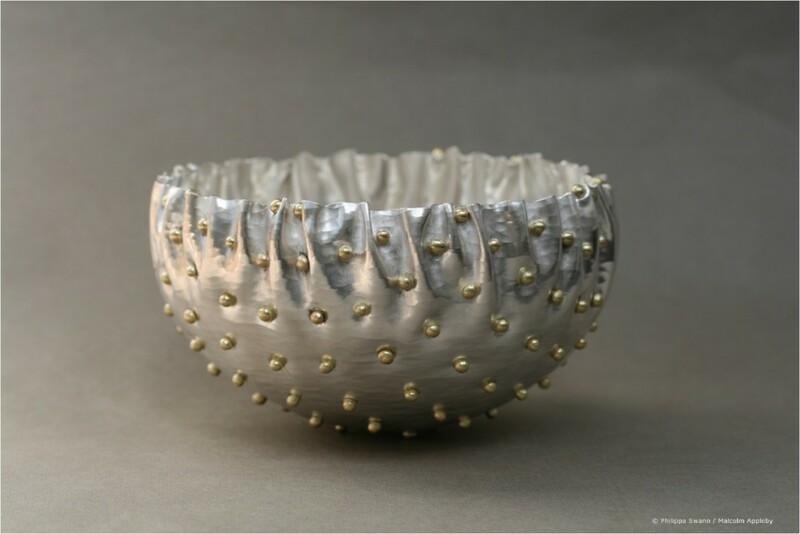 Collaborations with other craftspeople are a constant, including projects with other silversmiths, woodturners, jewellers, glassmakers and enamellers. Gun engraving continues to fascinate and challenge and Malcolm is currently working on a set of 4 firearms. The rest of his time is spent on multiple projects both experimental pieces and commissions, large and small. One of his avowed ambitions has been to make his work “so totally different that people are going to find it damn hard to shove it in a pigeon hole”, a goal which has most certainly been achieved. 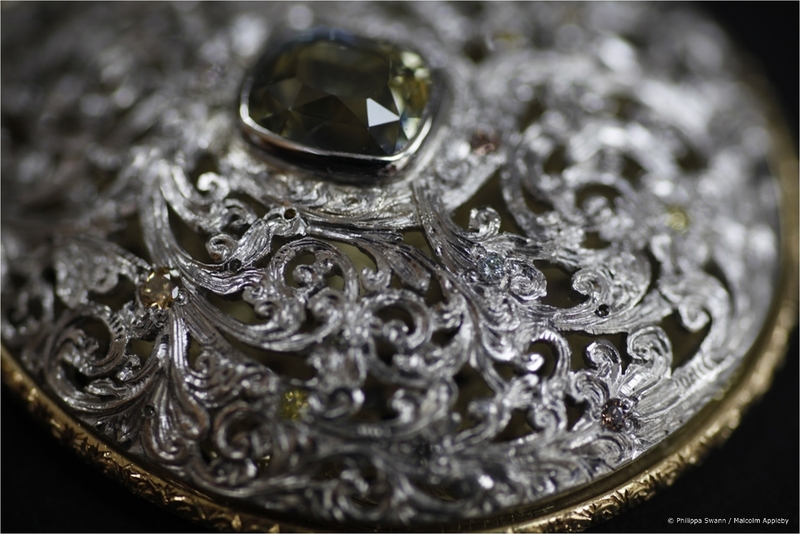 More recently Malcolm has been dedicating an increasing amount of time to ‘passing it on’, sharing his skills with a number of fledgling and established silver designers and engravers as well as artists with an expertise in other media. 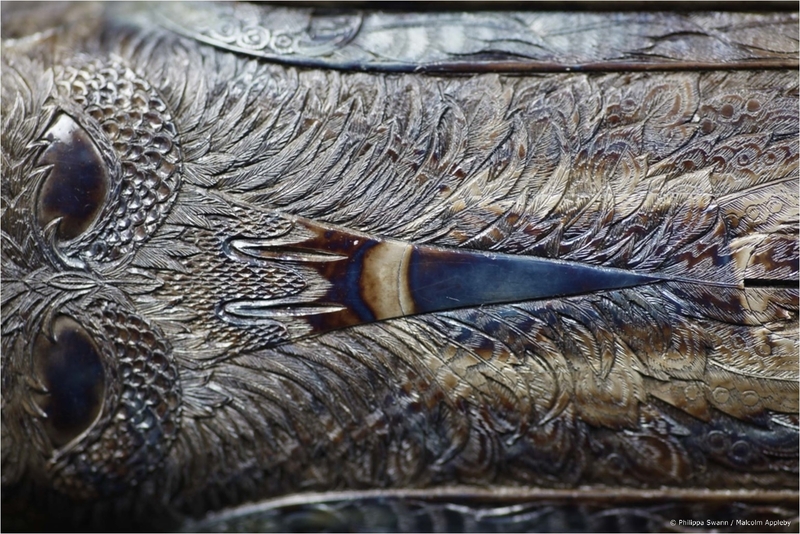 There are now Malcolm Appleby prizes awarded annually to talented young engravers at the Festival of Silver in London. There is also a biannual Symposium in Grandtully attended by students, artists and craftspeople from all over the world, providing both a think tank for new projects and an opportunity for creative exchange and enrichment. Watch a short video clip from National Museums Scotland – Malcolm Appleby on lack of direction. 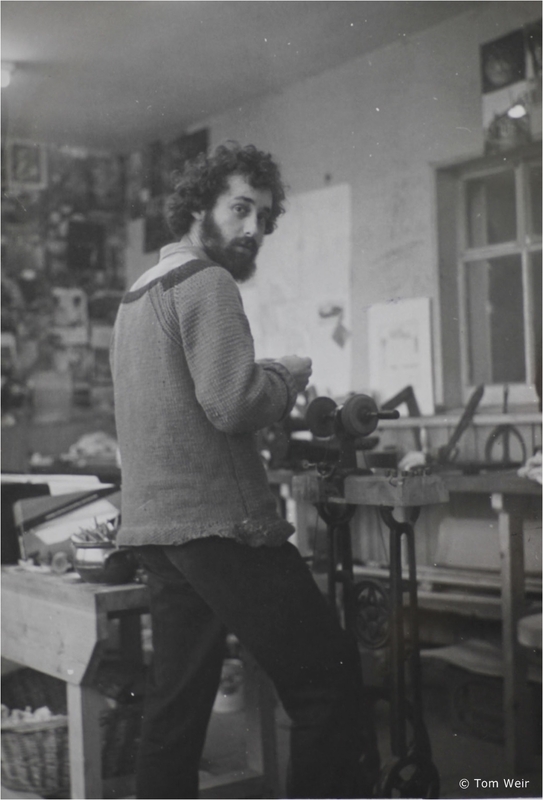 Check our news pages for latest events and recent and forthcoming exhibitions featuring Malcolm’s work.